Starting today and until the end of August, anyone who works at the airport can borrow either a BMW Cruise e-Bike or a Standard bike for two weeks free of charge via the airports Heathrow Commuter Team, the airport’s dedicated service to provide advice, and products for Heathrow colleagues to choose sustainable modes of transport. Luxury car manufacturer BMW has in fact been using its expertise to develop bicycles over the past 60 years. This unique partnership will provide our colleagues a chance to ride their Cruise e-Bike, an electric cycle which assists the rider so they do not have to provide 100% of the effort to ride. Heathrow will also provide regular cycles for those who are confident they can undertake the physical challenge of the ride, along with helmets, safety jackets, locks and lights as part of the trial. Heathrow is committed to reduce the number of airport colleagues that drive to work and in the last 5 years has decreased single occupancy car journeys to work by over 10% from 61.4% to 50.9%, and ensured a quarter of our airport colleagues use a bus to commute to work every day. This is another example of our on-going commitment to incentivise alternative more sustainable modes of travel to work. 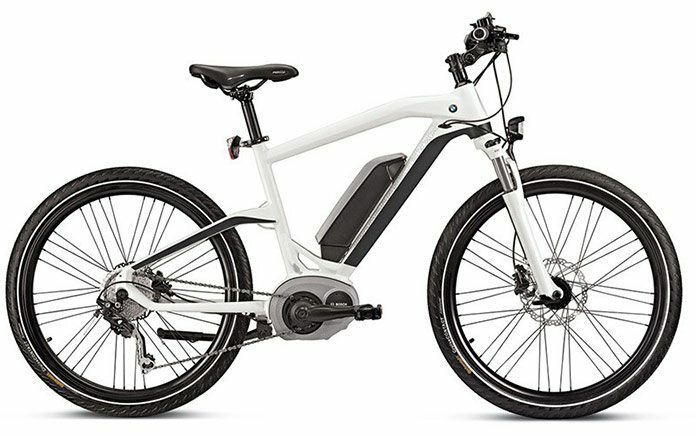 The BMW Cruise e-Bike is fitted with an electric motor, but the electrical support is not activated until you start to pedal. The motor adapts to the pedalling power exerted by the rider and you can select the right level of support for every type of terrain. Since it has a built-in speed restriction and the motor output is limited to 250 W, the BMW Cruise e-Bike is classified as a pedelec: this means it does not require insurance, a number plate or a helmet. Heathrow will work with the local boroughs to support the wider West London Cycling Strategy and support initiatives that deliver this change and develop a plan to transform the experience for cyclists at Heathrow. Cycling is an essential part of Heathrow’s vision of building the next generation of airport, one that is designed around not only the passenger but also the environment and the local community. It will be the world’s best connected, most efficient and most environmentally responsible hub airport at the heart of an integrated transport system.